Trendolizer™ (patent pending) automatically scans the internet for trending content. The website you are looking at has no human editors at all: links to trending stories are automatically posted from a selection of the data Trendolizer™ picked up. If you are interested in using the Trendolizer™ engine, dashboard or API for your own projects, more information is available at get.trendolizer.com. 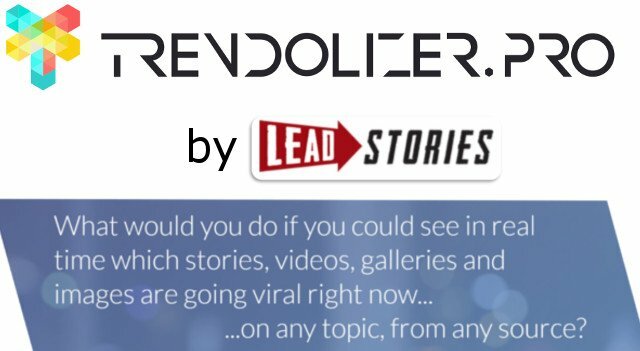 Trendolizer™ is owned by Lead Stories LLC.